The Australian box jellyfish contains one of the world’s deadliest known venoms. After being stung by a box jellyfish in Hawaii, Dr. Angel Yanagihara (University of Hawaii at Manoa) set out to discover a new remedy. Testing on both mice and humans (including herself, she admits), Dr. Yanagihara found that zinc can prevent the venoms of both Hawaiian box jellies and the deadlier Australian box jellies from creating pores in human red blood cells, which results in the leaking of precious potassium. In 1950, Australian mining engineer Ben Carlin and his wife Elinore set out to circumnavigate the globe on one vessel: a U.S. Army-designed amphibious Jeep audaciously named Half-Safe. 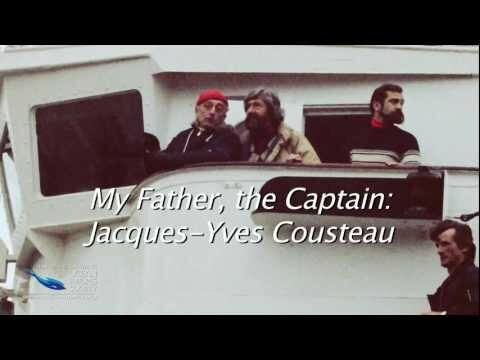 While premiering his new film at the Blue Ocean Film Festival in the fall, Jean-Michel Cousteau recounted his memories of the friendship between his father (Jacques-Yves Cousteau) and right-hand man Albert Falco, who passed away just this year.